A powerful tool to throw light upon complexities in relationships, situations and events you cannot comprehend. The power of crystals used for scrying along with the energy and connect of the universe makes this reading memorable and different. An intriguing way to connect to the past, the present and future to seek understanding of things happened, direction for the future and realization of the now. 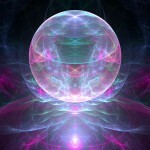 The crystal ball becomes the mirror to the future to give you insights and make you see reason.